New Zealand light heavyweight James Te-Huna names Brandon ‘The Truth’ Vera as his opponent in the upcoming UFC on FUEL TV 4 event. New Zealand light heavyweight James Te-Huna, names Brandon ‘The Truth’ Vera as his next opponent in the upcoming UFC on FUEL TV 4 event via Twitter account, @jamestehuna. He tweeted: “I’m fighting Brandon Vera, UFC on fuel 4″. 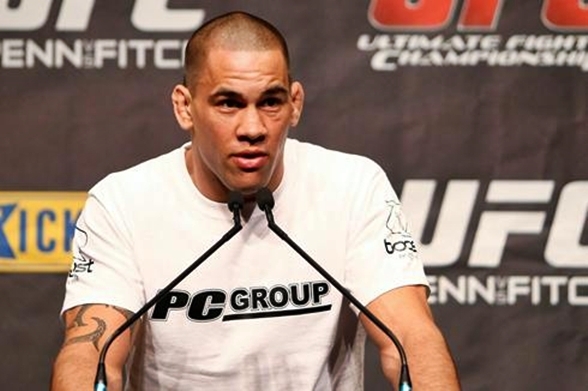 Te-Huna recently defeated Aaron Rosa via TKO during the first round of last month’s UFC on FX 2 bout. He also has a record of two straight wins and has a 3-1 standing, since his UFC debut in February 2010. Vera last fought in October of last year, where he had earned a unanimous decision over Eliot Marshall. He was scheduled to fight Thiago Silva in a rematch next month in the upcoming UFC on Fuel TV 3 event, but was not cleared to fight by a doctor due to an injury. UFC on FUEL TV 4 is expected to take place this July.